On view: Twkrv in the UK — TWRKV. A major retrospective of Albert Irvin, and a 60th anniversary celebration of the seminal exhibition, The New American Painting. Albert Irvin OBE RA RWA (Hon) (1922-2015) was one of Britain’s most important post-war painters and printmakers. He is best known for his large-scale abstract colourist paintings - some of the most distinctive to have ever been produced in this country. In 1959, Irvin visited an exhibition called The New American Painting at the Tate. It brought the boldest and best new artistic talent from across the Atlantic to London. The exhibition redefined what was possible for a generation of British artists. For Irvin, it was an epiphany. Albert Irvin and Abstract Expressionism brings together works by Irvin and the major abstract expressionist artists that inspired him, including Jackson Pollock, Willem de Kooning, Robert Motherwell, Barnett Newman, Sam Francis and Adolph Gottlieb from UK collections and works by Grace Hartigan and Jack Tworkov on loan from the United States, giving a unique chance to see so many of these important artists’ works in this country. 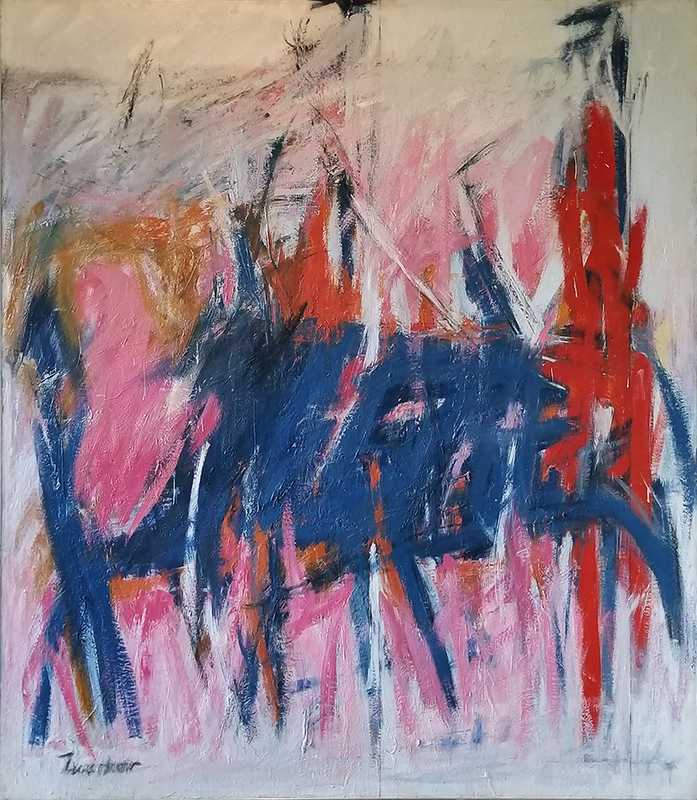 These will be shown alongside other leading British abstract artists, such as Peter Lanyon, Basil Beattie, Gillian Ayres, John Hoyland and Sandra Blow. The show will also chart Irvin’s earlier practice in a room featuring the British ‘Kitchen Sink’ artists including Edward Middleditch, John Bratby and Peter Coker.